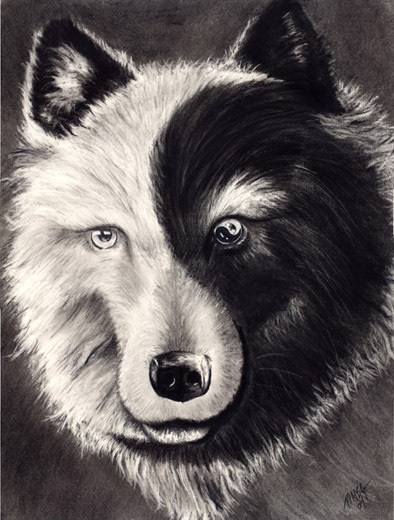 Done as a commision for a close friend, the piece brings together two popular images in American culture, a wolf and the Yin Yang symbol. The title is Chinese. Concisely it translates to “Night Wolf”, though the definition of yin means much more than simply night. It also incorporates the dark, feminine, earthly half of the ancient symbol. The original is the private collection of Morgan Jones.